Up to 10 military planes, 2 civil planes and 13 ships will assist in Sunday's search for missing Malaysia Airlines flight MH370. The Australian Maritime Safety Authority (AMSA) has three separate search areas planned for today about 2,000 kilometres north west of Perth, which total approximately 216,000 square kilometres. Weather in the search area is expected to be good with a cloud base of 2,500 feet and visibility greater than 10 kilometres. Reports overnight that the Chinese ship, Haixun 01, has detected electronic pulse signals in the Indian Ocean related to MH370 cannot be verified at this point in time. Anish Patel, president of Dukane Seacom, which manufactured the batteries in the two black boxes on the missing Malaysia Airlines Boeing 777-200ER, told the international broadcaster that his level of scepticism was high, after hearing reports that a Chinese patrol ship has detected a single pulse signal in the Indian Ocean. “My degree of scepticism is high&hellip; have to get some corroboration. I’d like to see some additional assets put on site quickly&hellip; maybe some sonar buoys in water in that location,” Patel said. AFP reports today the Australian authorities leading the multinational search for the jet had also advised a high degree of caution over the Chinese announcement, stressing that no link to MH370 had been confirmed. "I have been advised that a series of sounds have been detected by a Chinese ship in the search area," Angus Houston, the chief coordinator of Australia's Joint Agency Coordination Centre, said in a statement. "However, there is no confirmation at this stage that the signals and the objects are related to the missing aircraft," the retired air chief marshal said. "The characteristics reported are consistent with the aircraft black box," he said, adding that a number of white objects were sited about 90km away. A detector deployed by the Haixun 01 patrol ship picked up the signal around 25 degrees south latitude and 101 degrees east longitude. A Chinese patrol ship in the southern Indian Ocean searching for Malaysia Airlines Flight 370 two days in a row detected pulses consistent with a commercial airliner’s black box, according to the official China Central Television. The report late Saturday from the Chinese state broadcaster said there is no confirmation that the pulses are from the missing plane and said other factors could explain the signals detected by the Chinese ship. Speaking late Saturday from aboard the Haixun 01, which has a black-box detector to search for Malaysia Airlines Flight 370, a CCTV reporter said that in addition to a pulse detected by experts aboard the ship that afternoon, signals on the same frequency also were detected a day earlier by the vessel. In a brief Saturday evening, China’s official Xinhua news agency also reported the pulse detected Saturday. It said the Haixun’s black-box detector picked up the signal in a corridor of the southern Indian Ocean that is being scoured for signs of the plane that went missing March 8. Both CCTV and Xinhua have reporters aboard the Haixun. Xinhua, which limited its report to three sentences and had downplayed the report on its main news page by Sunday morning, didn’t mention the Friday finding. Officials quoted by state-run media in China, as well as in Australia and Malaysia, said they couldn’t confirm the origin of such a pulse. The pulse on Saturday afternoon lasted around 1.5 minutes and on Friday continued for about 15 minutes, the CCTV report said. The television report said the pulse on Friday was at a time when the area had ship traffic. The pulses were emitted at the same frequency, 37.5 kilohertz, that is consistent with signals from a jetliner’s black box, according to the media reports, though they also said other factors could explain a pulse at that frequency. PERTH, Australia -- A Chinese ship involved in the hunt for the missing Malaysian jetliner reported hearing a "pulse signal" Saturday in Indian Ocean waters with the same frequency emitted by the plane's data recorders. China's official Xinhua News Agency said a black box detector deployed by the ship, Haixun 01, picked up a signal at 37.5 kilohertz (cycles per second). However, Xinhua said it had not yet been determined whether the signal was related to the missing plane, citing the China Maritime Search and Rescue Center. 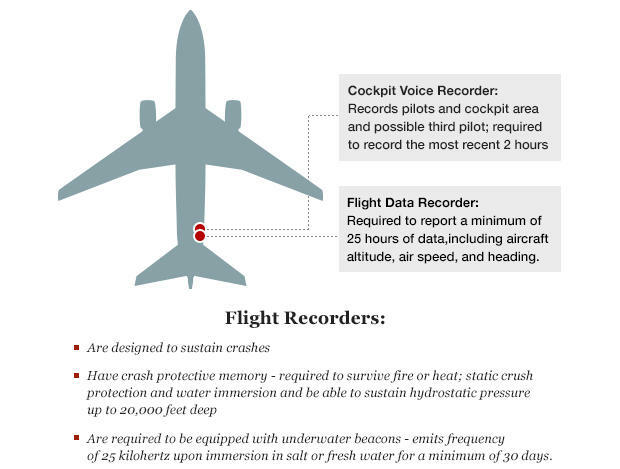 Malaysia's civil aviation chief, Azharuddin Abdul Rahman, confirmed that the frequency emitted by Flight 370's black boxes was 37.5 kilohertz. Retired Air Chief Marshal Angus Houston, chief coordinator of the Joint Agency Coordination Center - the Australian government agency coordinating the search - said Saturday the Haixun's report of electronic pulse signals could not be verified at this time. U.S. officials from the National Transportation Safety Board and FAA were not able to confirm the report, either. Houston also said the report of a number of white objects on the water's surface about 90 kilometers from the signal detection area could not be confirmed to be related to the missing plane. The deployment of Royal Australian Air Force assets to the area where the Chinese ship detected the sounds is being considered, Houston said. Part of me feels like maybe the searchers are on track and this is the missing plane from Flight 370. Maybe there will be answers to the questions so many have waited for. Yet another part of me is afraid to get my hopes up. I can't imagine how it's been for those connected to the missing plane and those aboard. A SECOND signal that could be from the black box of missing flight MH370 has been detected 2km from the initial detection area. Chinese ship the Haixun 01 detected the signal late yesterday hours after it picked up an initial pulse signal. Former Defence Force chief, Air Chief Marshal Houston — who is heading the Joint Agency Coordination Centre — described the signal as “an important and encouraging lead” but urged caution until anything could be confirmed. He said Australian vessel the Ocean Shield is also investigating an “acoustic noise” about 300 nautical miles from the signals picked up by the Chinese vessel. But authorities remain unable to confirm that the signals picked up are from the black box flight recorder of missing Malaysia Airlines flight MH370, which has been missing for a month. HMS Echo and Australian vessel the Ocean Shield have been diverted to the area to assist in the search. HMS Echo is expected to reach the area relatively quickly, but Ocean Shield is examining another “acoustic event” and will travel to the area once that had been fully investigated. It will take over a day for it to reach the area. The water where the Chinese vessel is operating is about 4500m deep. “Any recovery operation is going to be very challenging and extremely demanding,” Air Chief Marshal Houston said. However, he said it first had to be established that anything was down there and that search authorities were a long way from being able to do that. The first signal was detected on Friday night while the second signal was picked up yesterday afternoon. Air Chief Marshal Houston said that in the vast southern Indian Ocean, the two detections were very close together and had to be “investigated fully”. He said the signals were picked up in the southern zone which search authorities felt was the most likely area to find the aircraft. Air Chief Marshal Houston said a “correction” of satellite data picked up from MH370 in its final moments had firmed the search area in the southern area. He said this put the “area of highest probability” in the southern part of the existing search area, close to where the Chinese vessel is operating. About midday AEST today Ocean Shield picked up a “detection” which it was now investigating, authorities said. Air Chief Marshal Houston said search authorities were “running out of time” to pick up signals from the black box recorder, with the 30-day battery life due to expire tomorrow. He said the signal detected by the Ocean Shield was about 300 nautical miles from the signals picked up by the Chinese vessel. April 5, 2014, 10:04 p.m.
BEIJING -- Searchers looking for the data recorders from missing Malaysian Airlines flight 370 said Sunday that they were investigating underwater “acoustic events” in two distinct areas of the Indian Ocean – one picked up by an Australian vessel and two others recorded by a Chinese patrol ship. The Australian military vessel Ocean Shield, towing a sophisticated pinger locator lent by the U.S. Navy, reported Sunday morning that it had picked up a signal, said Air Chief Marshal Angus Houston, who is coordinating search efforts from Perth, Australia. That report comes on the heels of a Saturday night report from the Chinese ship Haixun 01 that it had detected pulse signals both Friday and Saturday at 37.5 mHz, the same frequency used by an airplane flight data recorder. Houston called the Haixun 01 findings “the most promising lead” and said airplanes as well as the British ship Echo were in route to the area where Haixun 01 was operating to investigate further. Commodore Peter Leavy, the task force commander in Perth, said it would take at least 14 hours for the Echo to arrive at that location. Ocean Shield was farther away, about 300 nautical miles, and would not deploy to the vicinity of Haixun 01 until it had finished investigating the noise it had picked up, Houston said. Leavy said that if Ocean Shield was sent to area the Haixun 01 is in, it would take more than a day to reach the site. At a news conference from Perth, Houston said investigators had made a “correction” to their calculations – based on satellite data – as to where the Boeing 777 had most likely entered the Indian Ocean after disappearing March 8 with 239 people aboard. As a result of the correction, searchers were going to focus Sunday on the southern portion of the designated search area, rather than the northern portion. The Haixun 01 is operating in the southern part of the zone, he said. Water in the vicinity is extremely deep – nearly 3 miles, he said. Houston cautioned that all of the pulses detected so far were brief and unverified. These are “fleeting, fleeting acoustic events,” he said, rather than a continuous transmission. The Chinese findings were publicized Saturday night through Chinese state-run media and appeared to catch Houston’s team off-guard. Asked Sunday about whether there were coordination efforts with the Chinese fleet participating in the search, Houston sought to play down any conflicts. Agreed. Except some of the "officials" themselves have made announcements that were later changed. For example: The last words that came from the cockpit was revised and initially it was announced the words were those of the copilot, and the latter is also being looked into. It depends on which "officials" do the announcing, if you know what I mean... The reporters and media have made the situation so much worse, imo. The cause of the discrepancy was unclear. Ships carrying sophisticated deep-sea sound equipment are heading to an area where a Chinese vessel searching for the missing Malaysian plane has twice detected a pulse signal. An Australian naval vessel is first investigating a possible third signal elsewhere in the massive search zone. None have been confirmed as coming from the flight recorders of MH370. Meanwhile families of the missing passengers have attended a prayer service in Kuala Lumpur. 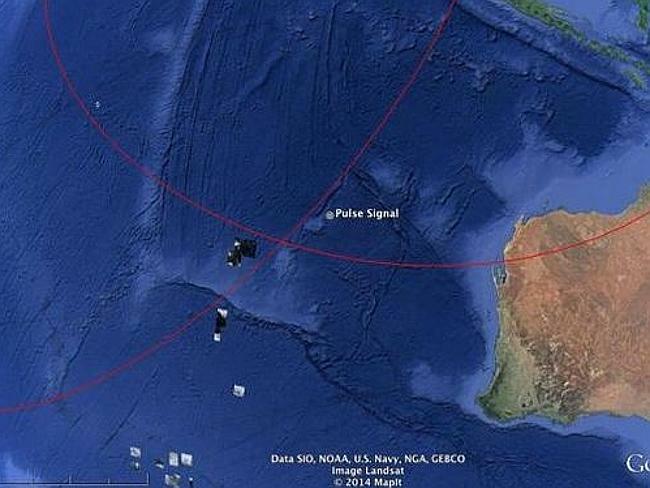 Australian co-ordinators said on Sunday that new analysis of satellite data meant efforts would now focus on the southern part of the search zone, near where China's vessel is located. Air Chief Marshal Angus Houston said China's Haixan 01 had redetected a signal for about 90 seconds on Saturday, within hours of it being heard earlier. He said the latest discovery was about 2km (1.2 miles) away from the original pulse, and that China had also reported spotting white objects on the surface of the water about 90km away. "The fact that we have two detections - two acoustic events - in that location provides some promise," he said. However he said these signals were "fleeting encounters" that could not be verified until the arrival of British naval ship HMS Echo and Australian defence vessel Ocean Shield. Both vessels have technology able to detect underwater signals emitted by "black box" data recorders. HMS Echo is sailing to the latest area and is expected to arrive within hours. The depth of the water in this zone is said to be about 4.5km (2.8 miles). Ocean Shield - described by officials as the best equipped vessel taking part in the search - will head there once it has investigated a third acoustic detection about 300 nautical miles away (560km). It is not expected to reach the southern area for over a day. As crews began day 30 of the search on Sunday, Air Chief Marshal Houston told reporters investigators were "running out of time" in the search for the flight's "black box". The battery-powered signal from recorder can begin to fade after 30 days. Australian co-ordinators in the search for the missing Malaysian plane say a Chinese ship has detected a pulse signal for a second time, within hours of it being heard earlier on Saturday. Air Chief Marshal Angus Houston called the discovery in the southern Indian Ocean an "important and encouraging lead". MuffyBee, it looks like we're getting closer to verification. Up to nine military planes, three civil planes and 14 ships will assist in today's search for missing Malaysia Airlines flight MH370. I think the press conference is at 12 midnight eastern time. PERTH, Australia (AP) — U.S. Navy equipment has picked up signals consistent with the pings from aircraft black boxes, an Australian search official said Monday, describing the discovery as "a most promising lead" in the nearly month-long hunt for the missing Malaysia Airlines plane. Angus Houston, the head of a joint agency coordinating the search in the southern Indian Ocean, called it "very encouraging" but said it may take days to confirm whether signals picked up by the ship Ocean Shield are indeed from the flight recorders on Flight 370. The Australian navy ship Ocean Shield, using a U.S. Navy towed pinger locator, detected the sounds on two occasions over a period totaling more than two and a half hours. "Clearly this is a most promising lead, and probably in the search so far, it's the probably the best information that we have had," Houston said at a news conference. "This would be consistent with transmissions from both the flight data recorder and the cockpit voice recorder," he said. "It could take some days before the information is available to establish whether these detections can be confirmed as being from MH370. In very deep oceanic water, nothing happens fast." Houston said the Ocean Shield detected two separate signal detections in the northern part of the defined search area, with the first detected for approximately two hours and 20 minutes, and the second for 13 minutes on the ship's return trip over the same area. He said the depth in the area is approximately 4,500 meters (14,800 feet), and he cautioned that it was too early to say the transmissions were coming from the black boxes on the missing passenger jet. "I would want more confirmation before we say this is it," he said. "Without wreckage, we can't say it's definitely here. We've got to go down and have a look and hopefully we'll find it somewhere in the area that we narrowed to."